Mumbai: V.I.P Industries is all set to unveil the campaign for its homegrown iconic brand, VIP. The brand has transformed itself with a new philosophy of ‘Hello Holidays’, targeting young and contemporary families. With emphasis on people who love to travel, VIP bags aims to be a family’s most preferred travel gear. The relaunch touches every dimension; unveiling a new brand logo and identity, a new consumer proposition and a new collection which embodies the new VIP. The 50-year-old brand will launch its latest TVC campaign with new brand ambassadors, Saif Ali Khan and Kareena Kapoor Khan, illustrating the transformation of India’s pioneering luggage brand. The new and improved version reflects VIP’s endeavor to consciously keep the brand fresh, trendy and steer it to the liking of the new-age traveler. Commenting on the core idea behind the rebranding, Mr Sudip Ghose, Managing Director, VIP Industries stated, “The overall goal was to make the brand relevant and contemporary, whilst retaining its iconic essence. With this relaunch, we aim to grow even more relevant to our ever-evolving consumers. Kareena and Saif Ali Khan are indeed a seamless fit for VIP’s new identity and positioning of Indian modern family. As a unit they represent the ambitious travellers of today’s generation who are always on the hunt for travel luggage/ necessities that truly reflect their personalities. The duo will certainly help strengthen the brand as contemporary, fashionable, reliable and everyone’s first choice for holiday travel. With this endorsement, we are confident that we will sharply position the brand as the country’s best and leading ‘holiday’ luggage brand. If it’s Holiday it has to be VIP”. Commenting on the brand association, brand ambassadors and celebrity couple, Saif Ali Khan and Kareena Kapoor Khan stated, “We are delighted to be VIP bags brand ambassadors. We have all grown up seeing our parents use the quintessential VIP Bags, briefcase and suitcases, and to be associated with the same brand today is indeed a proud moment for both of us. 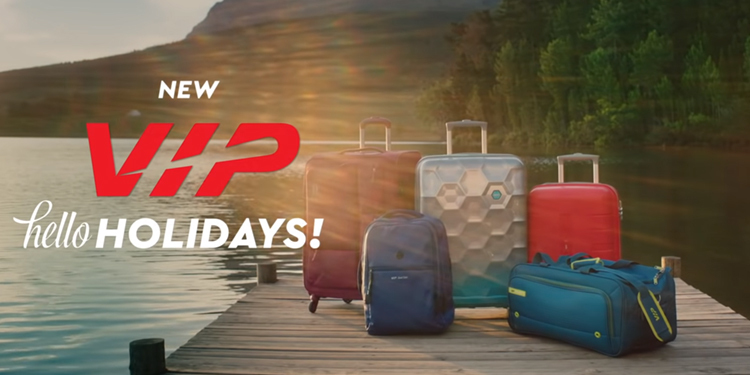 As avid travelers ourselves, the messaging of the campaign resonates with us and we encourage everyone to say #HelloHolidays with VIP Bags”. Going live on 4th April the campaign features new ranges like “Fairway”, “Scope”, “Conrad and “Ascend” which embody the revamped brand essence through the collection’s contemporary colors, styles and variants are definitely a must have. The relaunch will be a complete 360-degree campaign and will be promoted across all platforms such as TV, Print and Digital.